Before DH and I started our one month diet meal delivery a few weeks ago, we had a scrumptious lunch in one of the restaurants that recently opened in Banawe Ave., Quezon City- Tra Vinh Australia Special Vietnamese Noodles. 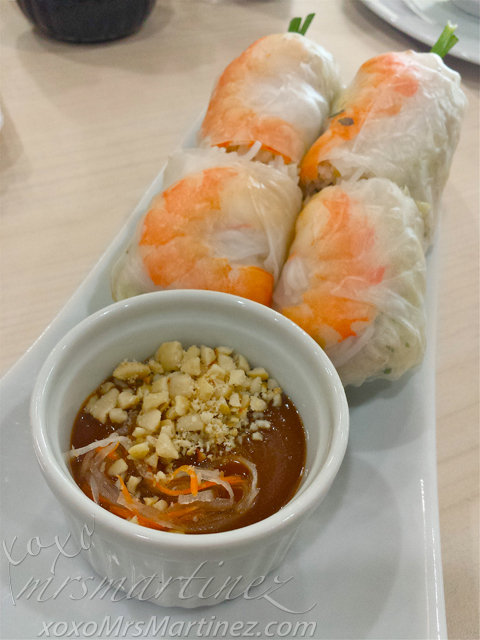 Also available in Prawns (2 rolls) Php 160, Pork (2 rolls) Php 160 and Vegetarian (3 rolls) Php 160. 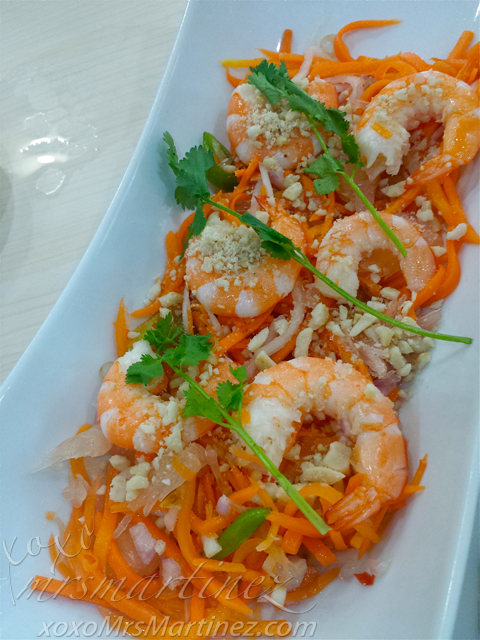 For salad, we ordered a combination of Prawn and Pomelo salad. I wish there were more freshly chopped vegetable to balanced the quantity of fresh prawns and pomelo. Peanuts, herbs and spices were on top of the salad. There was an extra dressing on the side just in case you want to enhance the taste and flavor of the salad. Also available in Prawn Mango Salad Php 250 and Chicken Salad Php 240. For my main entree, I ordered one Grilled Pork Chop Rice. The pork was marinated with traditional Vietnamese herbs & spices. There's a fried egg on top of the rice. Served with Meatloaf, Pickled Veggies, a side dish (fried noodle) and Tra Vinh's Special Sauce. This dish reminded me of the one I had when we visited Canada awhile back. I ordered the same dish every time. 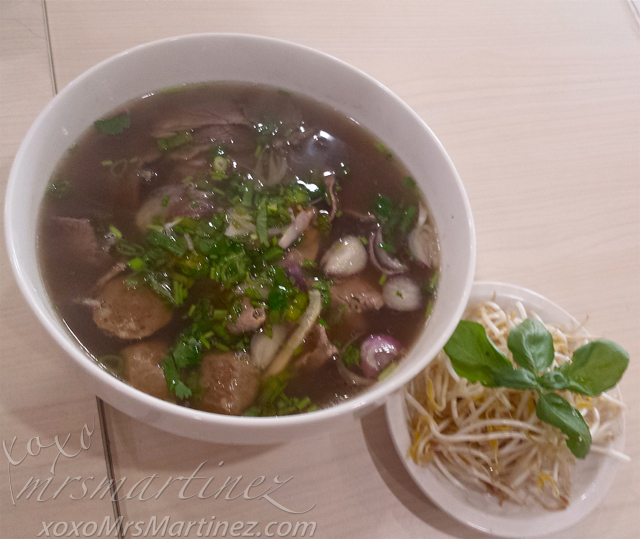 The restaurant is Pho88 and it is located at 325 Bamburgh Circle, Scarborough. Other rice dishes include Braised Beef Php 210, BBQ Pork Rice (Php 190 without Spring Roll/Php 220 with Spring Roll) and Fried Chicken Rice Php 180. Also available in Regular for only Php 230. We also ordered one liter of Tra Vinh's Home Brew Vietnamese Iced Tea for only Php 60... what a steal! 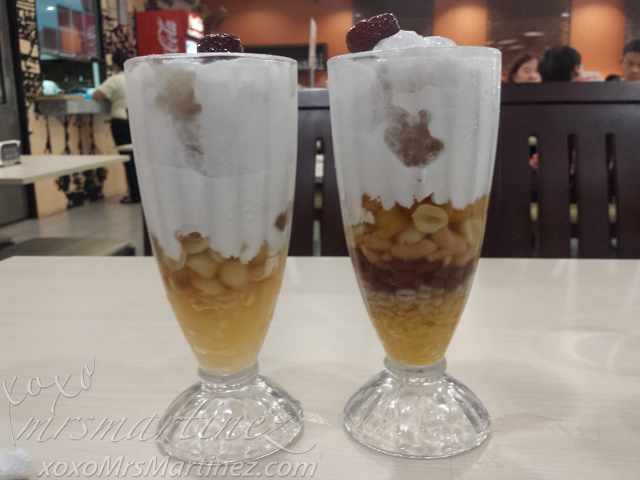 For dessert, we each had a tall glass of Dried Longgan with Lotus Seed for DH and Special Mixed Beans for me. I was not able to finish my dessert because it was too much for one person. These desserts are best when shared. Other desserts available are Sweet Vietnam Jelly Php 100, Jelly Lychee Php 100 and Iced Chendol Php 100. 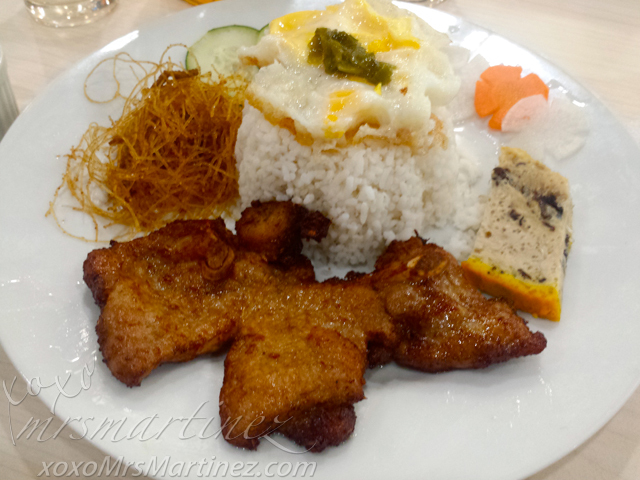 I will definitely be back for Tra Vinh's affordable and yummy Vietnamese cuisine. It is good to know that everything on the menu is made fresh everyday! Tra Vinh of Australia (first store opened in Australia 20 years ago) is located at 109 Unit 3 N.S. Amoranto cor. Cordillera Ave. Maharlika, Quezon City. You can call 742 1718 for inquiries and/or reservation.